BRYAN EATON/Staff Photo. 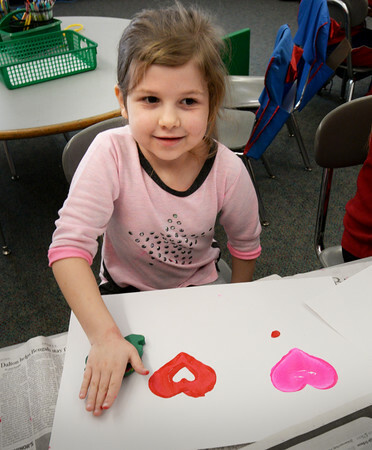 Emma Walsh, 5, uses painted wood blocks to stamp hearts onto paper in Jane Keeler's kindergarten class at Salisbury Elementary School on Wednesday. They will using them to decorate cereal boxes to put their cards in during their Valentine's party.